Nominees were announced for the 2018 International Gamers Awards, which includes multiple co-ops. Van Ryder Games announced that they will be releasing a cooperative graphic novel adventure game. Handelabra Games announced that they will be releasing digital versions of Aeon’s End and Spirit Island. The Dice Tower reviewed Wakening Lair. Down the Vent reviewed The Incredibles: Save the Day. Bonding With Board Games reviewed Untold: Adventures Await. Unfiltered Gamer reviewed Trogdor! : The Board Game. Toasted Cardboard reviewed Spirit Island. The Campaign Log reviewed A Spy Club. Just Push Start reviewed Pandemic Iberia. BGG user Poins reviewed Perdition’s Mouth: Abyssal Rift. 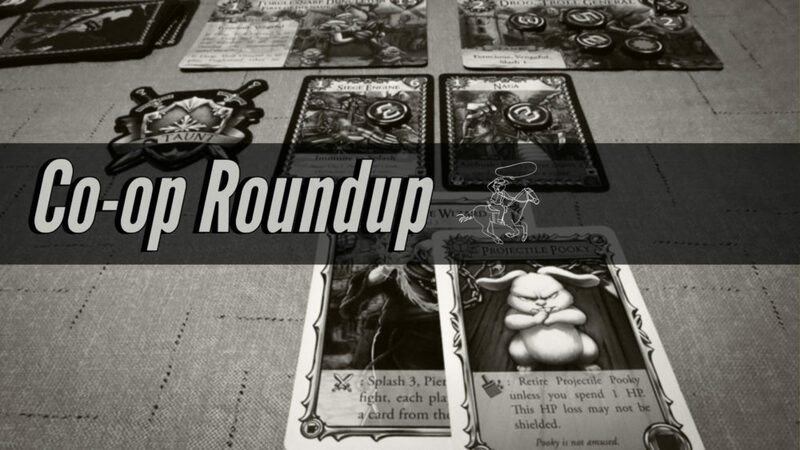 Everything Board Games reviewed The Red Dragon Inn: Battle for Greyport – Pirates! expansion. Team Fun played through a game of Mysterium. Nerds of the West played through a game of Flash Point: Fire Rescue. GameNight! played through a game of Detective: A Modern Crime Board Game. Rahdo played through a game of The Reckoners. The Beasts of War unboxed Firefly Adventures – Brigands & Browncoats. Mike Gnade unboxed the Maximum Apocalypse: Gothic Horrors expansion. G*M*S Magazine unboxed Professor Evil and the Citadel of Time. Diemension Games unboxed Deep Madness.